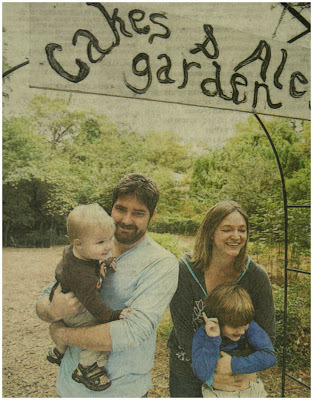 Billy and Kristin Allin, owners of Cakes & Ale, have a garden in their Decatur Back Yard to provide fruits and vegetables for their restaurant. Billy and Kristin Allin’s home seems like any other on its Decatur street — quaint and well-tended, with a mini patch of green lawn and neighboring houses crowding either side. 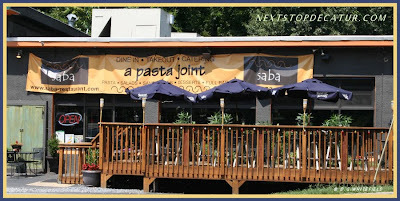 This is the new location for Saba. 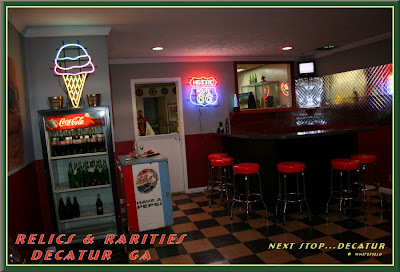 Here is a short video of the museum side of Relics & Rarities in Decatur, GA.
the ice cream parlor is in the middle section of the building. 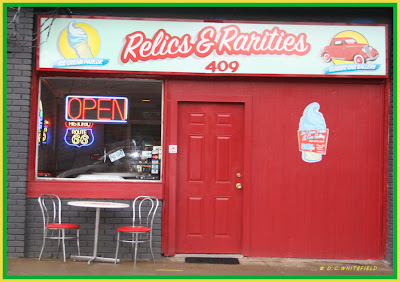 Last night Warren Pickard of Relics & Rarities hosted a wine & wheels event to show off his new place and it is some place, guests were taken on a tour to see all the things he has collected and had a story for each item. 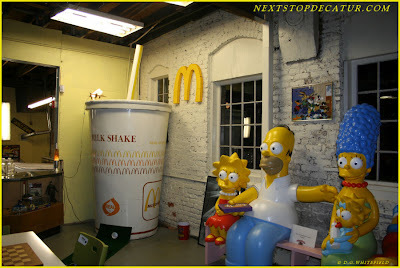 A very cool place, kids and adults will love this place. Here are a few pictures from last night. I will post more pictures on my flickr site soon. 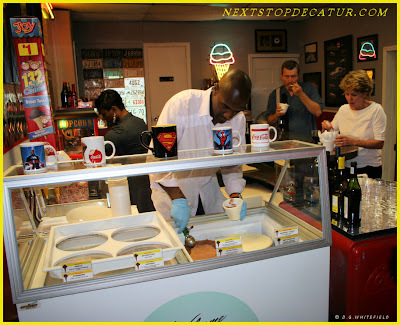 I had the opportunity to meet Nick of Decatur Metro (another Decatur blog) and he took a few pictures also. 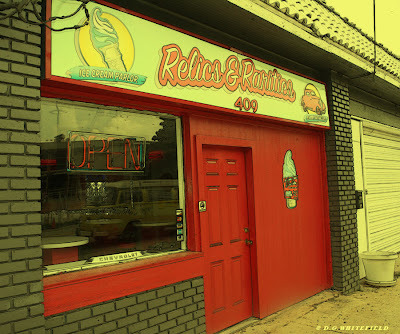 Relics & Rarities OPENS TODAY AT NOON, so get over there and check it out for yourself and enjoy the ice cream. 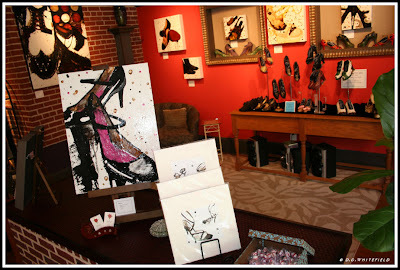 Have you been yet ? How did you like it. ? A Bird Imitation Contest at a Book Festival..That's a First. 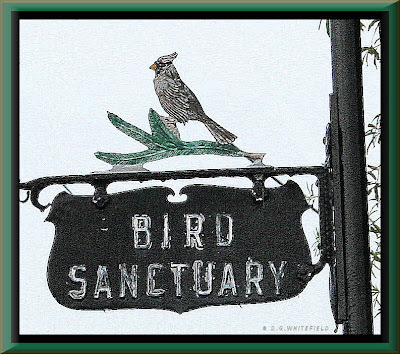 Photo: The Bird Sanctuary sign in Avondale. 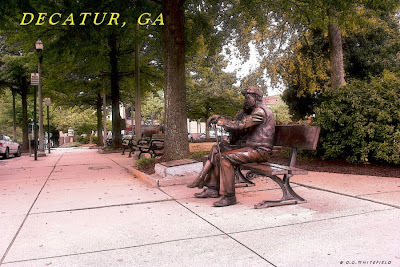 On the Decatur Book Festival Blog they have a post about a bird imitation contest to held at the Decatur Book Festival when John Yow( The Armchair Birder) appears Sunday, Sept 6 at 2:30 pm at the Decatur Conference Center Stage. 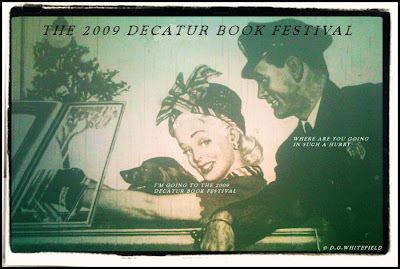 If you think you have what it takes to be a bird, you should be a contestant and show Decatur your bird imitation. Here is my imitation....HOOTY HOOT. 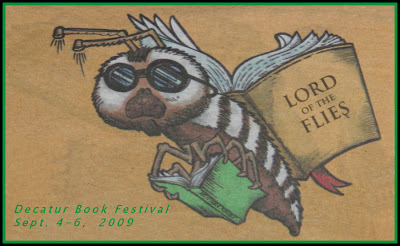 Here is the link to the blog post at The Decatur Book Festival site. This photo taken in March, it has changed a little bit, but this will give you an idea of how it looks. 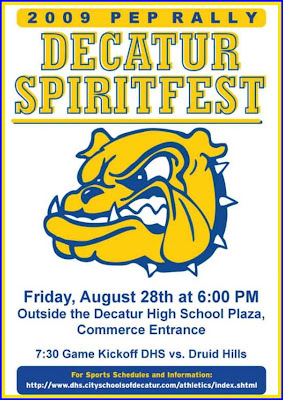 Decatur High Bulldogs won their first game over Druid Hills 46-0 last night. 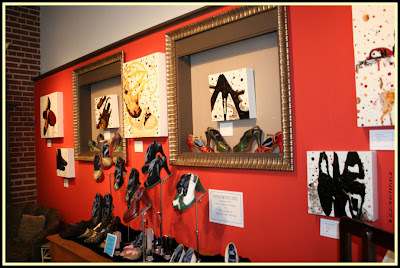 See some good photos at inDecatur site. Well it's been about a year since The McDonough Street Market & Jakes Ice Cream moved out of the old Belk-Gallant building and still no new tenants on the street level, Eddie's Attic is doing very well upstairs. 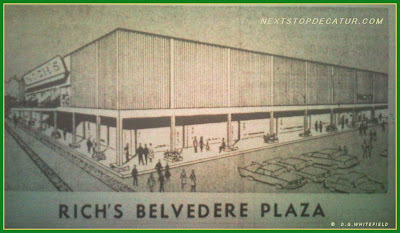 This building when full brings life to N.McDonough St.
Let's hope we will see some new tenants soon. 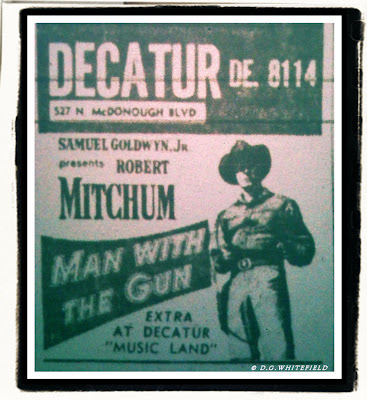 Vintage Decatur Theatre movie ad. 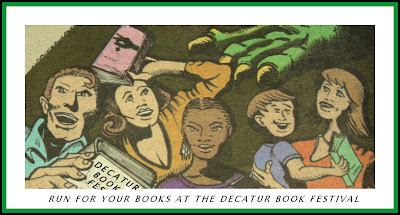 Note: See updates on The Decatur Theatre web site. 1956 Decatur, GA street scene looking towards court house from N. McDonough St.
New owner Atalaya says it will make papers profitable, no layoffs planned. The Eason family’s 37-year-old Creative Loafing publishing empire came to an end Tuesday morning when a Tampa bankruptcy judge awarded the struggling chain of six alternative weekly newspapers to its biggest creditor, a New York-based private equity company, Atalaya Capital Management LP. 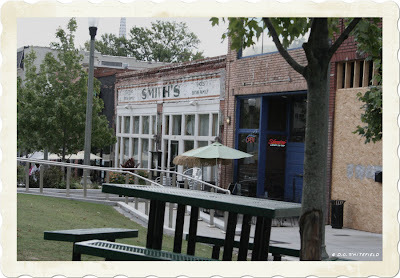 Street Scene in Decatur. 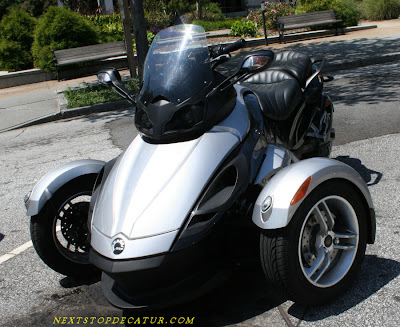 This is a Can-Am Spyder Roadster Three Wheeled Motorcycle. 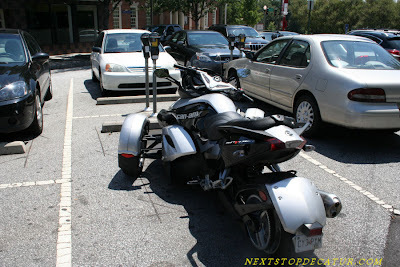 You can have one, for a little over $16k. Safety DogDeKalb County Public Library and the Center for Puppetry Arts, in conjunction with the DeKalb County Board of Health, are teaming up on a project aimed at teaching children about a very important topic—health and safety. 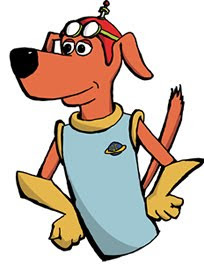 This fall, the organizations are presenting a special free puppet show, called “Captain Healthy and Safety Dog,” that will entertain school-aged children while telling them about things they can do to live a safe and healthy life. Read the full press release including the schedule for upcoming shows. 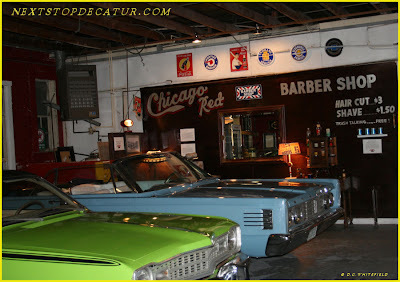 Please join us on Aug. 29th @ 8:30PM for a wonderful evening of wine and classic cars, and more . 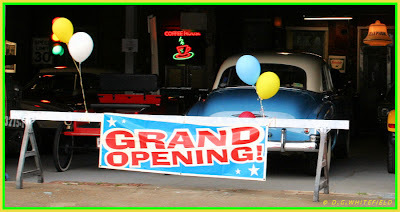 The event will be fun for all with a Q&A with owner, door prizes, games, music and of course ice cream. Space is limited to so please RSVP @ relicsicecream@gmail.com. 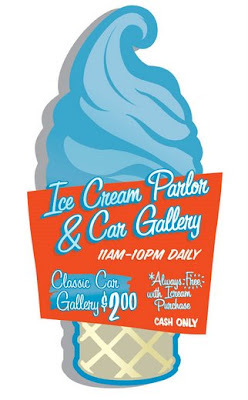 Admission is just $10.00. No one under 21 allowed. 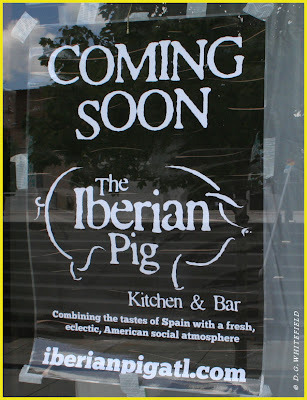 This is the building where Sage was located and the new business moving in will be The Iberian Pig. 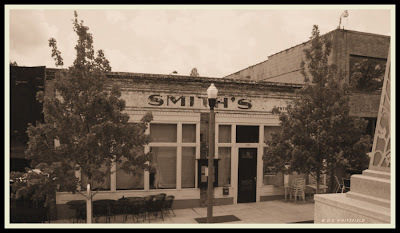 Sure would be nice if they kept the old Smith's Shoe sign. It looks so cool. 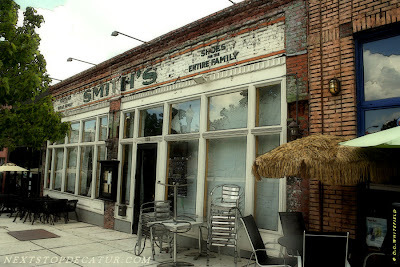 If it were up to me, I would leave the Smith's Shoe sign and put a neon light above it for "The Iberian Pig" that would make that building a Classic. 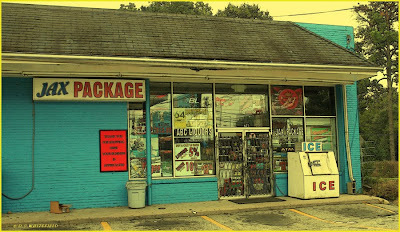 JAX PACKAGE STORE, DECATUR GA.
His family’s empire of alternative weekly newspapers headed to the auction block next week in a Tampa bankruptcy court, Creative Loafing CEO Ben Eason said Wednesday he’s confident his bid will prevail. “I think we are absolutely the best bid,” Eason said in a telephone interview from Tampa, the headquarters of the struggling six-newspaper chain that was founded in Atlanta 37 years ago by his mother, Deborah Eason, who sold her interest to her son and a group of investors in 2000. But a partner in the only other known bidder, New York-based Atalaya Capital Management LP, which Creative Loafing owes $30 million, said Wednesday he was confident Atalaya would get a judge’s nod and soon run the company. August 19, 2009 - For the second year in a row, Renewal has been named one of Atlanta’s Top 10 residential remodelers by the Atlanta Business Chronicle. Renewal ranks #7 for the entire metro area, and is #1 in all of Decatur and DeKalb County. The list, revised and published annually, surveys and ranks the top companies in a variety of industries across the 20-county metro area. In addition, Renewal has earned the position of #2,022 in the 2009 Inc. 5000, an annual ranking of the fastest-growing private companies in America. This list, compiled by Inc. Magazine, is the most comprehensive portrait of fast-growing private companies assembled anywhere. Renewal Design-Build, 124 S. Columbia Dr. in Decatur, provides complete solutions for renovations, additions, kitchens, baths, porches, decks, small projects and repairs. 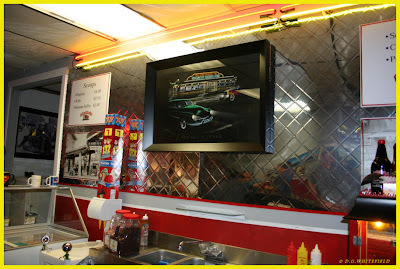 For more information, call 404.378.6962, or visit RenewalDesignBuild.com. Motorists beware. The Georgia Governor’s Office of Highway Safety (GOHS) is launching another all-day speed enforcement crackdown. On Wednesday, traffic enforcement units from DeKalb County PD, Cobb County PD, College Park PD, East Point PD, Union City PD, Atlanta Police Department are expected to run concentrated patrols on I-285, I-85, I-75 and I-20. They will be on the lookout for motorists, who drive at illegal speeds, tailgate, drive aggressively, and ignore Georgia’s ‘Move Over Law.’ The Move-Over Law was designed to protect law enforcement officers conducting traffic stops and other first responders performing emergency tasks alongside highways with their emergency lights activated. 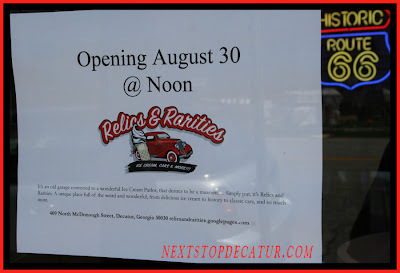 Relics and Rarities Ice Cream Parlor and Car Gallery to Open Early September. 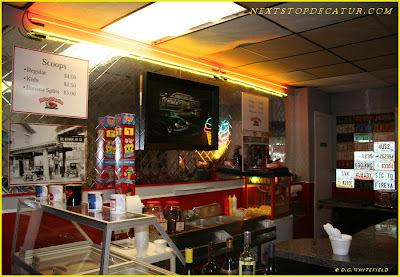 Can You Guess Where This Is. ? 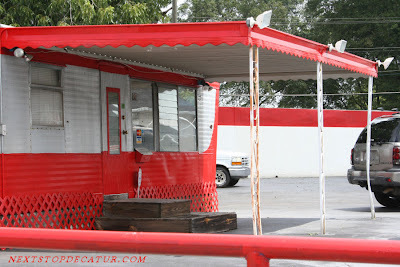 Can you guess where this trailer/ building is and what business it is. ? 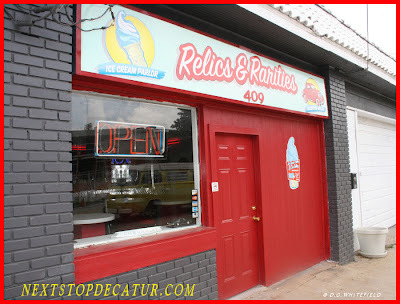 Hint: It's in the Decatur area. That's on the used car lot on E. College just west of Sam's Crossing, just outside the Decatur city limits. 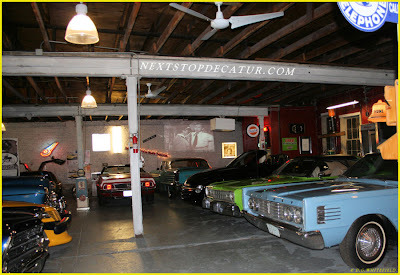 Next Stop Decatur said: correct, It's called "Drive A.S.A.P." See the guy running toward me in the orange shirt, well he ran up to me and told me, no pictures, and I said to him... No Speak English. 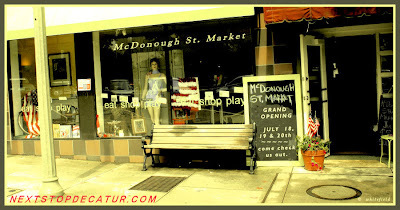 and run down the steps, and a women walking on the sidewalk with her grocery bag sees what has just happend and one of the mask guys shoots her 3 or for 4 times, and the other guy says "what did you do that for", and he says "she saw us rob the bank man"
and they run off down the sidewalk. and then someone says "Cut"
Baby, you can’t drive my car. Or yours. That’s what the Georgia Department of Transportation is singing as a former Beatle prepares to headline an Atlanta concert on a Saturday brimming with several other big downtown events and, you got it, lane closures on the Downtown Connector. Paul McCartney, who has been opening recent shows with “Drive My Car,” is expected to draw tens of thousands to Piedmont Park for his first outdoor Atlanta concert in 44 years. Also on Saturday, at the Georgia World Congress Center, some 50,000 hair stylists are expected to attend the Bronner Bros. International Hair Show. The Last Staycation Sunday in 2009!